The “Challenge of the Church” carries with it two ideas. Not only is the Church being challenged by the rapid changes taking place in our society, making life challenging for God’s people, but also, the existence of the Church is and of itself a challenge to the world. In fact, Jesus said we are “salt and light” to the world. 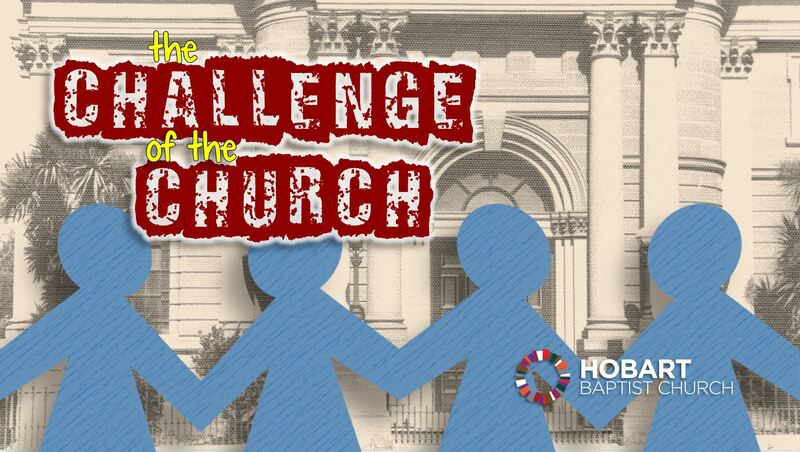 In this series, we’ll be exploring how the Church is both challenged, and called to be a challenge, in today’s world. And what that means for our lives individually and for the ministry and mission of Hobart Baptist Church.